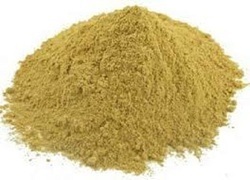 Leading Manufacturer of wild chrysanthemum extract, naringin powder, diosmin, mag mono ammonium glycyrrhizinate ep, piperine 95 % and colchicine usp from New Delhi. Wild Chrysanthemum exists widely in many provinces such as Shaanxi, Hebei, Henan and Jilin. It usually grows in the deep places like hillsides, roadside and grassland. It is one kind of perennial herbs and it is slightly cold and has the effects in dispelling the heat and wind. It can also remove the toxicity for detumescence. 1. Wild Chrysanthemum extract has the effects in the anti-aging and decreasing the blood pressure. 2. 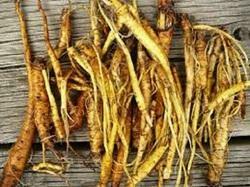 Wild Chrysanthemum extract can cure the dysentery and hepatitis. 3. Wild Chrysanthemum extract has the effect of anti-fatigue. 4. 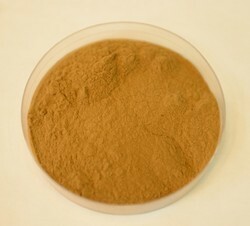 Wild Chrysanthemum extract has the inhibition of blood sugar. Two years when properly stored. 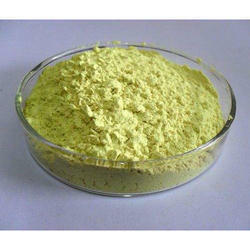 Diosmin is a semisynthetic drug (modified hesperidin), a member of the flavonoid family. It is an oral phlebotropic drug used in the treatment of venous disease, i.e., chronic venous insufficiency (CVI) and hemorrhoidal disease (HD), in acute or chronic hemorrhoids, in place of rubber-band ligation, in combination with fiber supplement, or as an adjuvant therapy to hemorrhoidectomy, in order to reduce secondary bleeding. To control internal symptoms of hemorrhoids (piles), it is used with hesperidin.Clinical studies have been inconclusive and no review articles on its use in vascular disease have been published. 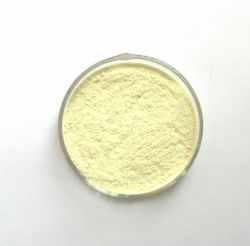 Diosmin is currently a prescription medication in some European countries, and is sold as a nutritional supplement in the United States and the rest of Europe. Diosmin has been found to be effective in mitigating hyperglycemia in diabetic rats. 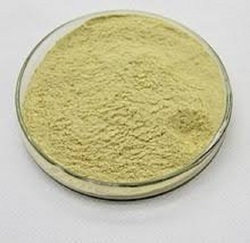 It is also speculated that diosmin might have potential in the treatment of neurodegenerative diseases, such as alzheimer's disease, and its anti-inflammatory and anti-apoptotic activity has been demonstrated in neuronal cells, in vitro. This is a 98% piperine extract of black pepper. It is thermogenic and enhances the absorption of both fat & water soluble nutrients through its interaction with the gastrointestinal tract. It has been studied for increasing the uptake of resveratrol, chrysin, diindolylmethane, and other supplements that have a lower level of bioavailability. Piperine extract of black pepper increases the secretion of catecholamines such as adrenalin and nor-adrenalin, therefore it is ideal to support short term stress. Take it together with a buffered vitamin C (such as Ascorbyl-Palmitate). There may be less expensive piperine out there, but be aware there is also a synthetic piperine available for less than half the price. Our piperine is wild-harvested organic. 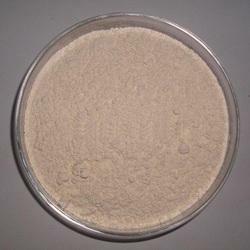 We are one of the prominent Manufacturers, Exporters and Suppliers of Raubasine Base i. The Raubasine Base is also known as Ajmalicine. 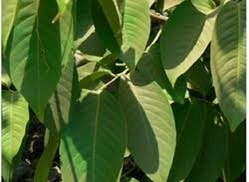 Belonging to the family of Apocyanaceae, this Raubasine Base has numerous health benefits for the humans. The constant hard work and sincere approach towards the clients ensures the unmatched quality of the Raubasine Base. Description : Yellowish crystalline powder, Odorless & tasteless. 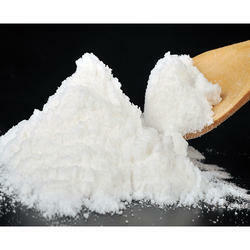 Ribose is a simple, five-carbon sugar that is found naturally in our bodies. But ribose is not like any other sugar. 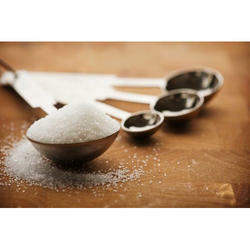 Other sugars are used by the body as fuel, where they are "burned" by the body to recycle energy. But because they are used excessively, they are toxic. However, the body treats ribose differently and preserves it for the vital work of actually making the energy molecule that powers our hearts, muscles, brains, and every other tissue in the body. Research has repeatedly shown that giving ribose to energy-deficient hearts and muscles stimulates energy recovery. A recent study showed that in people with chronic fatigue and fibromyalgia, ribose increased energy an average of 45% in just 3 weeks. 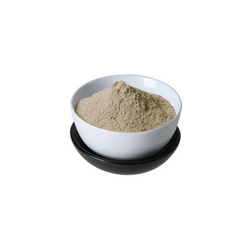 DGL Powder (deglycyrrhized licorice root) is soothing to, and provides nutritional support for, the gastrointestinal tract. * DGL significantly stimulates the proliferation of mucus secreting goblet cells. * It also aids in maintaining healthy epithelial tissue and helps to maintain normal cell function. Banaba is an herbal remedy extracted from the leaves of Lagerstroemia speciosa, a tree native to Southeast Asia. ... Banaba contains corosolic acid, a substance shown to possess antioxidant, anti-inflammatory, antiviral, antifungal, and blood-sugar-lowering properties. 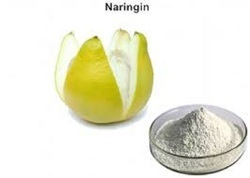 Some people believe that rutin can strengthen blood vessels, so they use it for varicose veins, internal bleeding, hemorrhoids, and to prevent strokes due to broken veins or arteries (hemorrhagic strokes). Rutin is also used to prevent a side effect of cancer treatment called mucositis. Bioflavonoid is a generic term used to describe biologically active members of the group of plant-derived compounds known as flavonoids. Bioflavonoids were first discovered in 1936 by Nobel-prize winning scientist and vitamin C research pioneer Albert Szent-Gyorgi, who originally named the group of compounds "vitamin P." Since then, over 4,000 flavonoids have been identified and classified according to chemical structure. 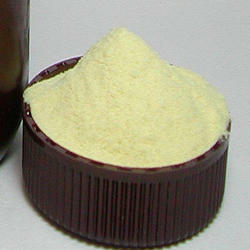 Bioflavonoid supplements are available as individual flavonoids, such as quercetin (derived from onions), and as multiple bioflavonoid complexes (derived from citrus fruits), which are often combined with vitamin C. Compounds commonly featured in citrus bioflavonoid supplements include hesperidin, rutin, naringin, and quercitin. Fights Acne. 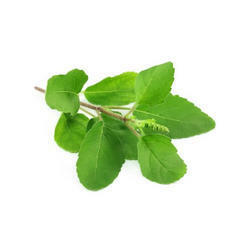 Tulsi kills bacteria and infections, therefore it's a great natural home remedy for acne and other skin irritations. 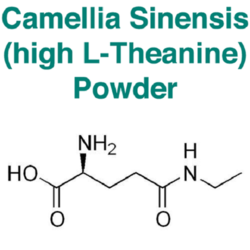 L-Theanine is a relaxing and nondietary amino acid found pretty much exclusively in teas from Camellia sinensis (alongside Green Tea CatechinsGreen tea catechins are four molecules, high amounts of which are present in green tea and other sources. The most potent one is EGCG. It is effective in respect to most claims and potent in a few. Any fat burning benefits are dependent on being caffeine naive. and Caffeine) and is known to promote relaxation without sedation. It appears to be effective at this as well as reducing stress at standard dosages. Cysteine is a thiol-containing non-essential amino acid that is oxidized to form CYSTINE. ... Cysteine is also part of the antioxidant glutathione. N-Acetyl-L-cysteine (NAC) is a form of cysteine where an acetyl group is attached to cysteine's nitrogen atom and is sold as a dietary supplement. 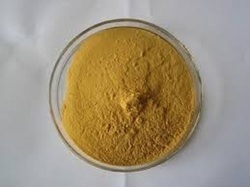 Malic acid is an organic compound with the molecular formula C₄H₆O₅. It is a dicarboxylic acid that is made by all living organisms, contributes to the sour taste of fruits, and is used as a food additive. Malic acid has two stereoisomeric forms, though only the L-isomer exists naturally.